Job seekers can get free job-search advice this holiday season from global outplacement firm Challenger, Gray & Christmas Inc.
Challenger’s annual two-day job-search call-in is scheduled Dec. 27-28 from 10 a.m. to 6 p.m. EST. The telephone number is 312-422-5010. The Chicago consulting firm will suspend regular operations during the call-in period “so that its staff of professional counselors can provide free job-search advice to callers from across the country,” the company said in a news release. This entry was posted in Jobs and tagged call-in, Challenger Gray & Christmas, employers, job hunters, job market, job search, Jobs, John E. Challenger, payroll, unemployed on November 26, 2012 by Roger Harris. FedEx, Volkswagen and Nissan have helped make Tennessee one of the top destination states for jobs, CNBC reports. Tennessee ranks No. 7 with 141,845 people moving here for work during 2009-2010. “Tennessee was one of only 15 states whose unemployment rate went down in 2009-2010. Of the 141,845 people who came into the state that year, many came from Florida, Georgia and Mississippi, all of whose unemployment rates had increased,” CNBC says. This entry was posted in Jobs and tagged CNBC, destination states, Jobs, Manhattan Institute, unemployment rate on October 17, 2012 by Roger Harris. Competition will be intense when new college grads hit the job market this spring, but their chances of landing a job are improving, says a report from outplacement consultancy Challenger, Gray & Christmas. Some 1.7 million graduates are about to start the grand post-college job hunt. As is usually the case, new grads who are flexible about relocating and those in hot job fields will fare best. Fields with the best job prospects include: accounting and finance, engineering, computer science, sales and marketing, education, and health care and social services among, according to Challenger’s annual look at the new grad job market. This entry was posted in Jobs and tagged accounting and finance, Challenger Gray & Christmas, college grad job market, computer science, education, engineering, health care, hiring, Jobs, John E. Challenger, sales and marketing, social services on April 18, 2012 by Roger Harris. Job creation is looking up in Knoxville – way up. A new survey by Manpower Group says that Knoxville will have the strongest job market in the country in the second quarter. Twenty-five percent of Knoxville employers surveyed said they will be adding jobs in the second quarter, up from 17 percent in the first quarter this year and 18 percent in the second quarter 2011. Only 1 percent of the metro Knoxville business surveyed said they will be cutting jobs this spring. “Among survey participants, the Knoxville, TN MSA employment outlook is the best in the nation,” Manpower said in a news release. This entry was posted in Jobs and tagged employment, Job creation, Jobs, Knoxville Chamber, Manpower on March 13, 2012 by Roger Harris. 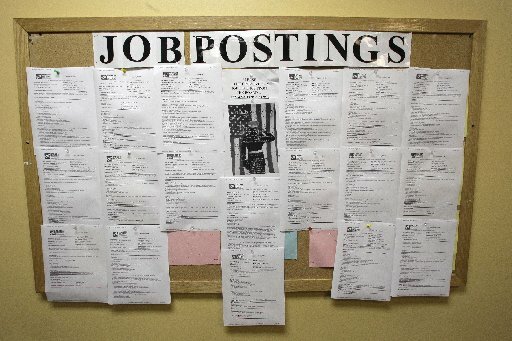 Two days of free job-search advice for unemployed workers starts Tuesday. Global outplacement firm Challenger, Gray & Christmas will hold its 26th annual national job-search call-in Tuesday and Wednesday (Dec. 27 and 28) from 9 a.m. to 5 p.m. CST on both days. The phone number is 312-422-5010. Job creation has shown some improvement in recent months, but millions of Americans are still out of work. Challenger will suspend normal operations for the next two days and make its counselors available to provide free job-search advice to callers. Click here for more info on the Challenger’s call-in. This entry was posted in Jobs and tagged advice, call-in, Challenger Gray & Christmas, job search, Jobs, work on December 26, 2011 by Roger Harris. Job creation is showing some improvement, but millions of Americans are still out of work. To help job seekers find work, the global outplacement firm Challenger, Gray & Christmas Inc. will again offer free job-search advice to unemployed workers. The firm’s 26th annual national job-search call-in will be held Dec. 27 and 28 from 9 a.m. to 5 p.m. on both days. This entry was posted in Jobs and tagged Challenger Gray & Christmas, job search, Jobs, John. A. Challenger, recovery, unemployed, unemployment, workers on December 7, 2011 by Roger Harris. Having a plan before you show up at the fair is more important that ever, say the experts at the outplacement consultancy Challenger, Grey and Christmas. “You cannot go in blind or without a plan. It is important that you know which employers will be there and the types of positions they are trying to fill. Only visit those that align with your objectives,” CEO John Challenger said in a news release. Challenger offers a laundry list of tips for increasing your chances of scoring a job when a visiting a fair. This entry was posted in Jobs and tagged Challenger Gray & Christmas, job fairs, job seekers, John Challenger on September 29, 2011 by Roger Harris. In case you missed it, here’s a link to my column in the business section of Sunday’s Knoxville News Sentinel. In a nutshell, the column asserts that the economy remains painfully slow, but it is creating jobs and isn’t as bad as some on the far right suggest. Not all readers shared my point of view, but thanks to all who took the time to post a comment. Some readers posted a few questions that I will attempt to answer. This entry was posted in Jobs and tagged Aetna, Alcoa, Bank of America, Boeing, Business Roundtable, business section, Deere & Co., Dow Chemical, Economy, FedEx, General Electric, Humana, IBM, Intel, Jobs, Knoxville News Sentinel, Morgan Stanley, Norfolk Southern, UnitedHealth Group, Verizon, Xerox on June 20, 2011 by Roger Harris. ranking of metropolitan markets published this week. Knoxville surged 34 spots to rank No. 9 among medium-size cities on Forbes’ 2011 “Best Cities for Jobs” list. This entry was posted in Jobs and tagged Best Cities for Jobs, employment, forbes, Knoxville, nonfarm jobs on May 4, 2011 by Roger Harris.